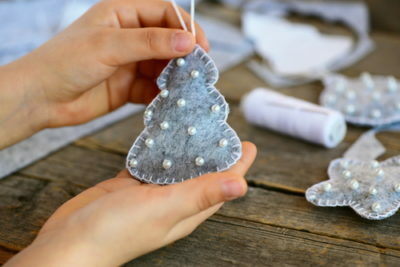 Find something to do this winter and keep yourself busy doing some projects for your home! Indeed, Christmas and New Year are just around the corner, and people are starting to come up with their resolutions once again. And although the cold weather may get you tempted to stay on your couch the whole season, it may be actually smart to make winter worthwhile with some activities for your home. Give your space a new and refreshing color this season! Pick one or two rooms to give them a new look. Be ready though to move the furniture and give the new paint plenty of dry time. A new season calls for an updated goods in the fridge and the pantry. Wipe and clean them as needed. Throw away all the expired goods and empty containers. Visit a local home-improvement store and upgrade your kitchen, hallway, mudroom, and bedroom with sustainable flooring. You can do something to lower your energy bill this season and avoid heat loss! Insulate your hot water pipes by wrapping them in layers of newspaper and securing them with duct tape. One sneaky source of wasted water is a leaking toilet. So make sure to double check it and save water and money! Winter is the best time to sort through your clothes and take out what you don’t wear anymore. Since the New Year is almost here, don’t you think you should also upgrade your wardrobe already? Winter doesn’t have to be all lazy and futile. You can still be cozy at your home and productive at the same time with these easy home indoor projects!